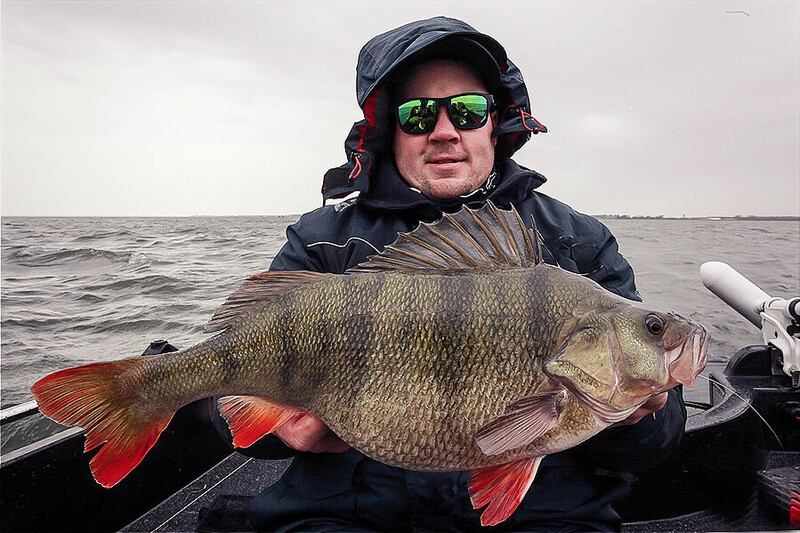 Coming from Ireland, we don’t have the large perch that the big waters in the Netherlands hold. So, we couldn’t wait to try our luck at it and boy did we have a good few days. When we flew out, we knew that the conditions would be difficult. The wind was up to 80km/h and the water was all churned up and dirty. We were fishing at a depth of 2 to 4 meters and the water temperature was 7.5 degrees celcius. As the water was churned up and dirty, I decided to go with the Rattlin' Rapala® in Fire Tiger pattern. With my 3rd cast I landed a beautiful 45cm perch that weighed 4lbs 5oz or 2,04 kg. This would be a perch of a lifetime if caught in Ireland, but it was far from a big one in Holland. Little did we know that this would be the smallest of 14 perch we would land. Blaine was next to get a fish on the Shadow Rap® Jack Deep also in the Fire Tiger colour and what a fish it was, 49.5cm and a whopping 5lb 7oz or 2,5 kg. 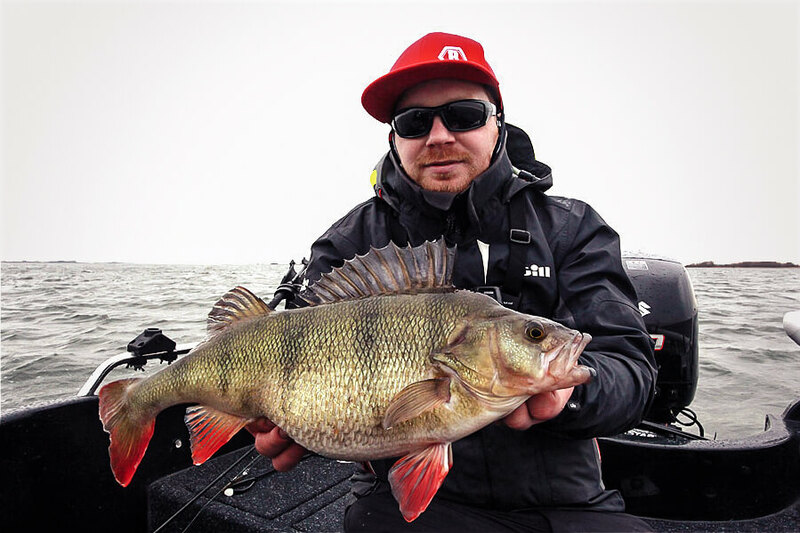 Amazingly this was only one of 5 perch that Blaine caught that were over 5lbs or 2,27kg. We had 7 fish that measured 49cm, 3 were 48cm, 3 were 47cm and 1 was 45cm. All the fish were in excellent condition and getting ready to spawn. We couldn’t go to the Netherlands without trying to get one of those monster Dutch pike. 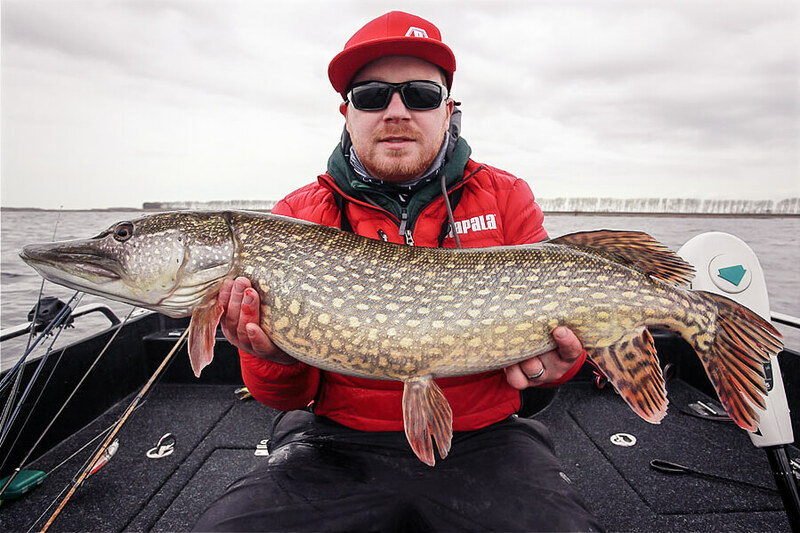 The pike fishing was difficult, the pike were getting ready to spawn and we had several hits and follows on the Super Shadow Rap® in the shallows with no fish landed. So, we decided to change things up, we moved out to deeper water around 8 meters and we let the lures sink to the bottom and then slowly retrieved. It worked and we landed a number of beautifully coloured pike on the X-Rap® Peto, the biggest being 102cm. It wasn’t a monster by Dutch standards but always nice to catch a pike over the 100cm mark. It will be our last trip abroad for this season as spring pike fishing is in full swing in Ireland now.